So I have a thing for Black & White. I love the clean bold contrast of the two colors. 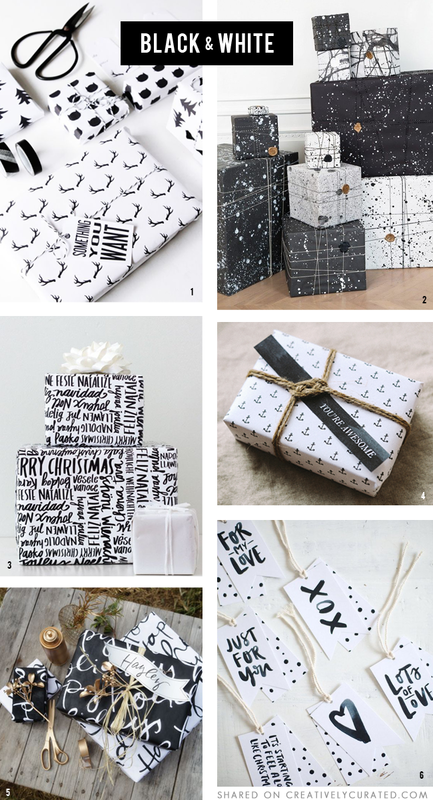 An lately, I see a ton of gift wraps out there in the market place and online this Holiday Season. Which makes me all excited! Here are a few black and white trendy looks that got me feeling really inspired to maybe create my own wrap (an personal tags) this year. Oh, an numbers 3,4, 5 & 6 are free (FREE!!! so awesome!) printable version too. Link on over below. Happy Friday!